Talented up and coming designers are making a name for themselves through an innovative business support and employability programme run by Renfrewshire Council. 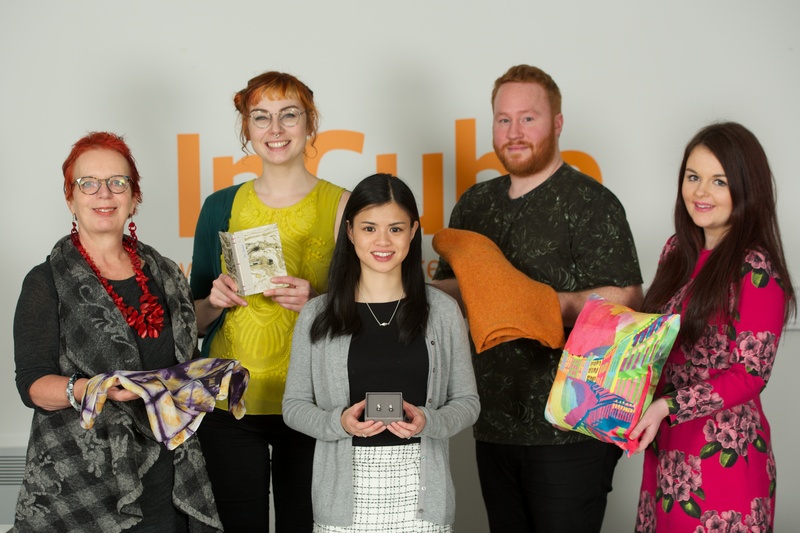 InCube is Invest in Renfrewshire’s business programme which aims to launch and grow creative retail businesses through practical support and business skills training from industry experts. The programme provides young businesses a stress-free environment in which they can concentrate on developing their products, services and markets. Each of the designers work can be seen and purchased from the InCube Shop, 9B Gilmour Street, Paisley. Renfrewshire Council Leader Iain Nicolson said: “As a Council, we are committed to providing support for young businesses as we look to nurture a community of entrepreneurs and innovators whose future success will contribute to Renfrewshire’s economic growth. “The programme provides gifted designers with the means and the confidence to showcase their products, as well as the support and guidance to advance their business to the next level. The programme runs for six months per group with the next recruitment period set to begin in January. For further information on the programme and how to get involved, visit www.incube.ren.